← This Blog is Finally Mine! As people have known from my previous post that it was your music that saved me from committing suicide. (Eminem Saved My Life! Now I Write Everything. – Link is below) I am writing you this letter today, think of it as a follow-up letter than you never received when I wrote to you as a mental patient. I mean I am a die-hard fan and I’m always fighting your corner because I have faith in you. When the world has hero, what do people want more than to see the hero fly? They want the hero to plummet from the sky. Now I know firsthand about addiction to drugs (Mine were medically given.) and the struggle you must face to climb out of the abyss. And as a writer I know of the black-hole that is left within you when you no longer need those drugs and you must fill that void with words or you will relapse. I understand. But I have also studied a little psychology and because I am an avid listener to your words and beats. 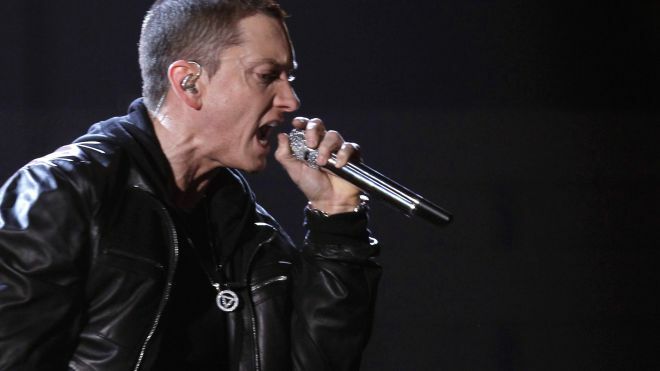 Now forget what people are saying they are looking for past Eminem; they have the old Eminem they are just blinded by their own hate for things. Now as someone who is within the shade over here in this corner, bobbing his head and doing his own thing. It looks to me you are looking in all the wrong places to find what you had before. And before I give you my “Medical opinion” I would just like to say to the persons whispering all that is wrong with you and their failing procedures to bring down a king…. Back up or you’re going to get knocked down! Em! Don’t you remember that fire within your belly, huh? When you sat at home with no money, no fame and only the dream to keep you going. That was your ammo. That was your ability to dazzle all of us because you related to us and we all came together and started to realize that the pain of poverty can only be temporary if we tried and worked like you. Now let me also add what made you different from all other rappers. All other rappers are talking about the street and big chain and getting paid but you not only rapped about the street or funny side of life, but you took on a side of rap which I like to call “Dark-rap” Where most rappers were talking about the street corner you were talking about behind closed doors and the suffering you endured. That was your niche; because we all suffer and we had someone in our corner. It was your ability to write pain from in the household that made us re-listen. Whatever happened to that guy? That’s the part of yourself you need to re-find because rap needs you back, your fans need you and so do I! P.S. Please DO NOT dye your hair back blonde, I like the fact you changed yourself and showed you had left all that was wrong with you behind. But just remember you are a leader, you are a writer; you have conquered it all and came out fighting. Good luck with the new album MMLP2 on November 5th 2013 …Remember – Remember the Fifth of November! So hit me back, just to chat, sincerely yours, your biggest fan this is Stan… No wait, Alex. Keep your pen busy, Eminem, my hero!